What's left in Nagoya area for me to see after Liberty Walk's visit was the second chapter of Japan's most exclusive exotic car dealership. When I thought I've seen the best supercars at the tiny showroom at Tokyo, I was wrong. Let's take a tour to the headquarters of Bingo Sports! To get to Bingo Sports Head Office, you have to take JR Chuo Line from Nagoya Station to Ozone Station first, then switch to Meitetsu Seto Line and alight at Obata Station. The train journey takes about 25 minutes, and a short 10-minute walk heading south from the station will get you there in no time. Overlooking the rainy winter weather forecast report for that morning, I found myself stranded at the station carrying essential camera gears inside my bag. Thankfully this is Japan; convenience stores are basically everywhere. With a new raincoat on hand, I quickly arrived at the familiar dark grey building. This was the view at the door step of Bingo Sports Nagoya. I had a jaw-dropped moment when I found out that there’s a factory showroom in this town filled with cars beyond belief. Bingo Sports is not only the place for the owner Shinji Takei to keep his huge collection of cars. He buys sells and trades to those who truly appreciate the car’s value. Like this '97 RUF CTR2, many might see it as another 993 Porsche but in fact, it’s completely different powertrain. Its 580hp tuned engine is capable of reaching 349km/h top speed. Every RUF has its own VIN number instead of Porsche’s and this one here is known as ‘Kleeblatt’ as named by the RUF factory. I remember first time seeing the CTR2 in Gran Turismo 2. '72 Corvette Stingray, '96 Maserati Ghibli & '90 Benz 190E 2.5-16 Evolution. This 2010 Murcielago SV was the latest modern supercar in this hall and is for sale at ¥41.8 million, but the '92 Porsche 911 3.6RS Racing at the back is even more expensive at ¥60 million. That's because the RS Racing is a rare version with only 17 cars worldwide and has more power than 964 Cup and 964 RS. Another very unique Porsche was the '86 911 Carrera 934 RSR with Vaillant Kremer livery. It's a replica built from a 930 Carrera and it took 9 years to perfect its modification in every area of the car to comply the 934 race spec. It has 600 worth of hp at your disposal. Next to the 934 RSR, was not one but two very rare Ferrari F40s, both in its full original and non-restored condition. The F40 of the left is '89 Lightweight edition and on the right is a standard '90 F40. The 2.9L twin-turbocharged F120 V8 engine producing 471hp might not seem a lot based on today's supercar standards, but it was the fastest and most powerful car at that time. The F40 is the most beautiful and purest racing breed in Ferrari history, and indefinitely one of my favourite Prancing Horse. ... and Ferrari Mondial. Next to it, is a '62 Porsche 356S Karmann Hardtop. 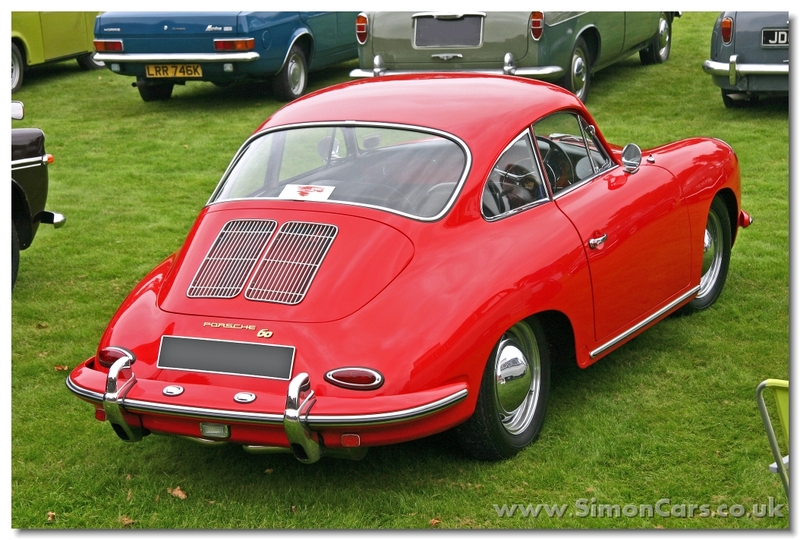 It was originally a cabriolet body but the German coachbuilder Karmann remodelled it into a permanent hardtop, and therefore it has a unique shape distinguishable from the standard 356 coupe. There was only a handful Karmann Hardtops produced in between 1961 (1048 units) and 1962 (99 units) making this one here a very rare piece of machine. Although majority of the high-end cars were Continental, Bingo Sports never overlooked local car brands and have quite a few really interesting Japanese classics too. One of them was the ’73 Toyota Corolla Levin TE27 (in orange) which is the father of Levin and grandfather of AE86. The Levin was fully restored to excellent condition and properly tuned with TRD goodies. You’d be surprised when you know this 40-year-old car has only 33,000km mileage on the clock and priced at hefty ¥6 million. There were three original first Skyline GT-Rs, two '70 4-door PGC10 and one '71 KPGC10 2-door. Hakosuka is the true pioneer of GT-R breed and no Nissan fans will ever forget the historic 49 consecutive wins accomplished by these legends at Japan Grand Prix. Without a doubt, Hakosukas are beautiful but my top favourite Japanese classic has to be the first Nissan Fairlady Z aka 240Z. Although I've seen quite a few of them in Japan before, the gloss black Zed at Bingo Sports was just so stunning to look at. By now, this car should be sitting gracefully in one lucky owner's garage. While I was scanning through all of Bingo Sports priceless possessions, I talked to Ito-san, the only lady mechanic there. She shared how lucky she was to get into automotive world through her passion for motorsport and her desire to constantly learn about cars. Working with them daily, and opportunities to participate with their in-house race team to meeting influential people like Mr Horacio Pagani keeps her motivated and happy. ... where all the rarest, most expensive and unheard-of supercars were kept and hidden away from the daylight. When I stepped into the place, I was literally stunned and stood still for a moment processing what I was really looking at. “Is that Stirling Moss beside the LFA Nurburgring Edition?” I asked excitedly. Yes, it was indeed the limited ’09 Mercedes-Benz SLR McLaren Stirling Moss. The speedster styling was taken directly from the legendary 300 SLR that won and broke the record at the 1000-mile Mille Miglia race in 1955, and Sir Stirling Moss was that man who did it, hence the extra name on this car. It might seem impossible to acquire ultra limited cars like this elsewhere, Bingo Sports dealer got it covered for any customers who always wanted to own their dream. They will help to assess, advise, and attempt bidding at luxurious car auctioneers like Bonhams, Gooding & Company and RM Sotheby's. This is the ’94 Porsche Schuppan 962CR, total of 6 units in the world, two in Japan and you’re looking at one! The Group C road legal machine was fully built by Porsche’s works driver and Le Mans racer named Vern Schuppan. He had this idea to take 962C’s design, 935’s 3.3L 600hp flat-6 engine and make it into a road car, funded by Japanese investors. Unfortunately, the production for the 962CR had to stop due to high construction cost and bad economic recession, and it caused an end to Schuppan’s company and his race team. Nevertheless, I was lucky to admire Schuppan’s contribution to the motorsport world. Next is '07 Maserati MC12 Versione Corsa, a track-purpose machine which developed from the MC12 GT1. Similar to Ferrari FXX, you can only drive it on special track days held by Maserati. This is unit #5 out of total 12 ever produced (2 in Japan) and it was specifically ordered in silver instead of the original "Blue Victory" paint. The '68 Toyota 2000GT was perhaps the most beautiful car in Bingo Sports' inventory. If you're familiar with its history, the 2000GT was crowned as the Japan's first supercar and the most collectible Japanese sports car of all time. Only 351 units being built in total. ... but that wasn't the most expensive car at Bingo Sports, the Ferrari F187 is. The #28 car was driven by Team Ferrari's second driver Gerhard Berger in 1987 Formula One season. The car didn't perform well until at later stage. At round 15 in Suzuka Circuit, Berger won first place starting from pole position, ending Ferrari's winning drought for two years. It was a memorable moment for Japanese fans at that time, and that very car is this! All F1 cars in that year were turbocharged engines and fitted with FIA mandatory pop-off valve restricting boost pressure to 4.0 bar. The 1.5L V6 Tipo 033 engine in the F187 had 950hp for qualifying and 880hp for races. Michele Alboreto's #27 car is currently in Enzo Museum but sadly, its head rest piece was stolen. Fortunately, the one in Bingo Sports' garage is retained as it is. I thought I saw two F40s earlier, yet there were two F50s (and a 458 Challenge) on the upper floor of this building. The F50 is often not to everyone's liking, but I beg to differ. I think they look great as the F50 had a huge influence towards my childhood days. There wasn't any hurrah for the F50 when it was introduced in 1995 due to the fact that it is slower, heavier, and less powerful than F40 predecessor. The F40 has turbos but F50's 4.7L V12 engine is natural aspirated. Not only that, its 514hp engine is not new and simply revised from '90 Ferrari 641 F1 car. Nevertheless, the F50 is an important part of Ferrari's supercar family. It was a learning process for Ferrari to make better cars which they had already achieved with the Enzo and of course, the LaFerrari. ... but there was still one final place for me to see! Just opposite of Bingo Classic Competition, there is a factory or workplace where cars are serviced and restored to its former glory by their experienced craftsmen. There were other personal cars and bikes collection in this area too. '55 Porsche 356 Pre-A Speedster 1500, '85 Chevrolet Camaro IROC-Z, Alfa Romeo Giulietta Spider Veloce from the late 50s, Maserati Shamal on the far right & green Smart Coupe Brabus. '72 Nissan Skyline 2000GT-X Hakosuka & '73 Nissan Skyline 2000GT-X Kenmeri. And finally, hidden far end at the corner of this factory was a Lancia Stratos HF, a successful rally car in the World Rally Championship in year '74, '75 and '76. If I remember correctly, this Stratos is a replica model but if you ask me, it's still a great looking car with all the details spot on. It was a long journey to reach Bingo Sports Nagoya, but it was all worth it. Bingo Sports is the home to many exclusive supercars and likely the best car dealership in the world or at least in Japan. Head to both Bingo Sports Tokyo & Nagoya someday to see for yourself and be mesmerised by what they have in their inventory, or check their website for more info. Thank you Bingo Sports, Tanaka-san and Ito-san for your time having me around. I'll definitely be back!